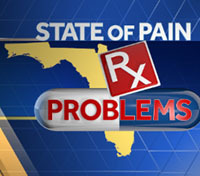 WESH-TV Investigates Medicine Problems | Broadcast Public Service: Local Stations. Big Impact. Hearst’s NBC affiliate WESH-TV Daytona Beach, Fla. conducted an 11-month investigation into a rule intended to curb drug abuse in Florida that prevented dying patients from getting pain medication their doctors had lawfully prescribed. The investigation forced change at pharmacies and in Florida’s capitol.